DEATH HAS A GINGER BEARD. Last night a couple of us were lucky enough to get to see a screening of the pitch black comedy Sightseers at the Mayhem Film Festival in Nottingham. It pretty much ticked all the boxes for me, and is now officially my favourite film of the year. 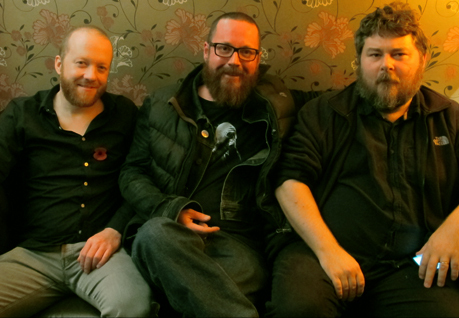 Afterwards, I had the pleasure of meeting up with the director Ben Wheatley and writer/actor Steve Oram, both top blokes. The film is released at the end of the month in the UK. Make sure you go and see this one, it’s the funniest, blackest, British comedy I’ve seen for a long time. Definitely not to be missed. 10/10 – Mike.